Dolce Designs creates beautiful and stylish custom dessert tables and gorgeous, as well as delicious, wedding cakes. 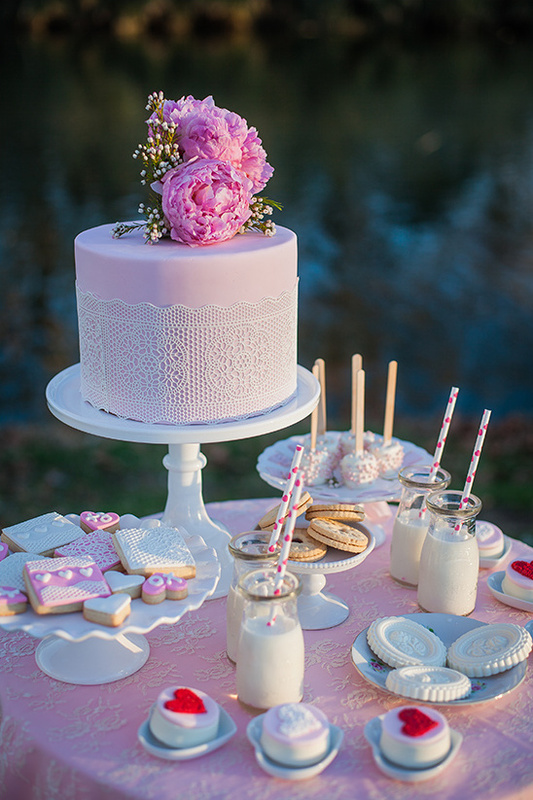 With Dolce Designs you can have a cake table styled to perfection including the desserts themselves! They also handcraft giant balloon tassels, garlands, and adorable wedding favors. View all of their seriously adorable cake and dessert tables here and don't forget to take a peek at their Wedding Chicks vendor page. Join us again tomorrow for another Wedding Chicks vendor happy hour. To get information on becoming part of The Wedding Chicks, and join all the fun, email us by clicking here.